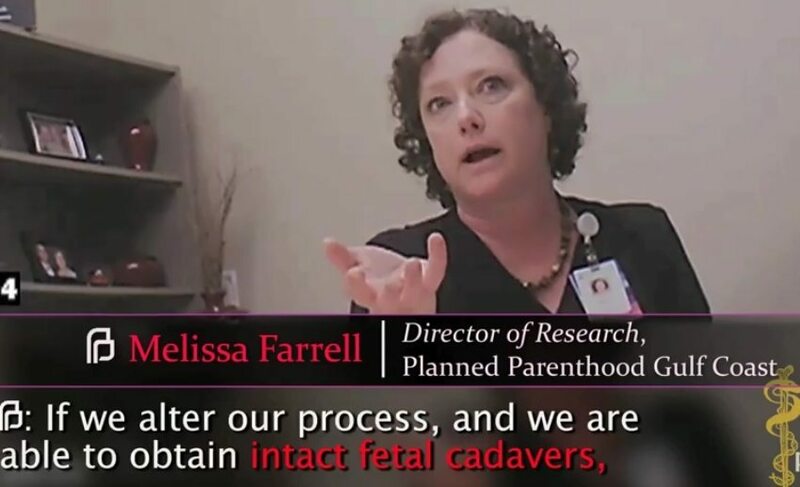 One year ago, the Center for Medical Progress (CMP) released the first in its groundbreaking series of undercover videos catching senior-level Planned Parenthood leadership negotiating the sale and haggling over the price of aborted baby body parts. Today, Planned Parenthood remains under investigation by multiple states and the Select Investigative Panel in Congress, which has determined that Planned Parenthood profited from the sale of fetal body parts, exposed patients’ private medical records, and pressured patient consent with fraudulent paperwork. The first video, with Dr. Nucatola, Senior Director of Medical Services, received over 1 million views on YouTube in the 24 hours after it was posted. Two days later, PPFA president and CEO Cecile Richards posted her own video apologizing for Nucatola’s “tone and statements.” But to date, none of these representatives of Planned Parenthood have come forward to correct their remarks on the videos or disavow them. Planned Parenthood has not divulged whether or not these representatives continue to work in the same leadership capacities. The CMP videos now have more than 12 million views on YouTube, including over 3.2 million views of the first video. The videos prompted several Congressional committees and state agencies to open preliminary inquiries, but the only dedicated, nationwide, and in-depth official investigation is the Energy & Commerce Committee’s Select Investigative Panel, chaired by Rep. Marsha Blackburn. Less than a week after the Panel was chartered, Planned Parenthood announced a “policy” change to no longer receive payments for supplying fetal tissue–after 3 months of insisting that these payments were completely legal and acceptable. In the first half of 2016, the Panel has documented the for-profit business model for fetal body parts harvesting at some of the largest Planned Parenthood affiliates in the country and the company StemExpress. Last month, the Panel filed formal complaints with the Department of Health and Human Services on account of “systematic” HIPAA violations at multiple Planned Parenthood affiliates in their relationship with StemExpress, as well as the use of invalid consent forms with false representations to pregnant women. And here one year later, all the best evidence shows that Planned Parenthood is even more guilty than we first realized: Planned Parenthood sold baby body parts for profit, conspired with StemExpress to do so, violated HIPAA and exposed private patient medical information in the process, and coerced patient consent though fraudulent paperwork.